The iPhone 6 is designed for the way you live, giving you access to most U.S. GSM and CDMA networks like Verizon, Sprint, T-Mobile, AT&T, Metro PCs, Cricket, Boost and most prepaid carriers. 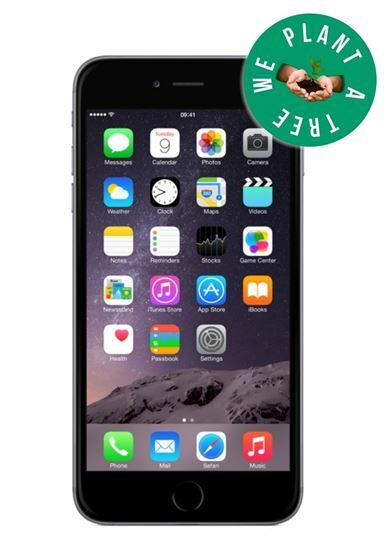 The GSM unlocked iPhone 6 is perfect for international travel from Canada to Dubai. And when you vacation, take it easy--bring on the spills, splashes, and dunks! You no longer need to put your phone in a bowl of rice because of a little water. Excellent (9/10): Little sign of use. May have some very fine scuffs and/or scratches. These devices are fully functional, having passed our 45-point functional test. Their screens and LCD displays will show signs of use; they will have hairline scratches or marks that will not inhibit the visibility of the screen. Their housing will show signs of use such as scratches / scuffs / nicks or other blemishes. The iPhone 6 gives you the advantage of Apple Pay, accepted many places where you can swipe or tap your card. Whenever you purchase a device with the RepairXperts, we plant a tree with the National Forest Foundation. Save money, recycle and plant with the RepairXperts!